Learn how Trident University’s Computerized accounting certificate and computerized accounting diploma can help you get the job you want. Grow and strengthen vital skills to propel yourself into the accounting and bookkeeping workforce with an online Computerized Accounting Certificate or a Computerized Accounting Diploma. Both the certificate and diploma programs offer two concentrations to select from: Bookkeeping and Payroll or Taxation. Trident University’s entirely online accounting certificate and diploma programs will equip you with knowledge and a competitive career advantage. Through our fully online Computerized Accounting Certificate program, you will find yourself with increased preparedness and knowledgeability above others in the accounting and bookkeeping field. This 6 month, 18 credit-hour program offers the ability to transfer 6 credit-hours from other programs. As the program is short, students can quickly advance toward in demand careers. 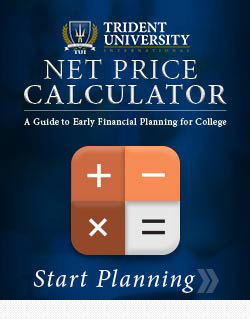 Individuals seeking a change of pace, new and/or increased skill sets, or the ability to strive toward career advancement will benefit from completing an online Computerized Accounting Certificate. Program courses are stackable and have the ability to be used toward other Trident programs, such as the Computerized Accounting Diploma Program. Along with receiving an online accounting certificate, you can take your skills even further by completing an accounting diploma online through Trident University. Trident offers a fast track 9 month online diploma program for those looking to expand their accounting education beyond certificate level. All courses for the Computerized Accounting Certificate program are stackable into the Computerized Accounting Diploma program. Those looking to complete an accounting diploma online will complete three additional courses, totalling 27 credit hours. These additional courses will focus on expanding critical thinking skills, communication skills, and quantitative methods in order to ensure preparedness for entry level positions. Additionally, 100% online courses boast military friendly accessibility, allowing students to remotely complete all coursework. Specially trained military advisors are available to help answer questions related to the application process and the completion of an accounting certificate online. 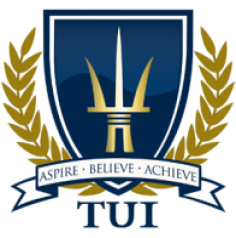 See the Trident University Catalog for full descriptions of all course offerings. Both the 6 month certificate and 9 month diploma offer the following concentrations. See the Trident University Catalog for full descriptions of all concentration course offerings. Bookkeeping and Payroll – This concentration covers QuickBooks and Sage 50 accounting software, bookkeeping and Microsoft Office. Students will complete various tasks using Excel, PowerPoint and Word. The program seeks to provide an understanding of the skills and knowledge relating to the management of a payroll system. Taxation – This concentration focuses on QuickBooks and Sage 50 accounting software, tax preparation, and accounting procedures. Various topics regarding individual tax preparation, self-employment, retirement plans, and depreciation are discussed. Students will demonstrate an understanding in individual tax preparation, business entities, tax preparer information, PTIN, CTEC code of conduct, and EITC due diligence, and amended returns. The online accounting programs are supported by five professionals in an Advisory Panel. This panel promotes the success of Trident University students seeking the completion of an online accounting certificate or diploma via consistent and active review of academic materials. Robert Steele, a CPA who has experience as a course designer, business owner, and accountant at multiple organizations. Evangeline Imana-Iyemura, who has significant senior leadership experience from her decade at SanDisk, a Western Digital company. She has managed portfolios of $50 million to $1 billion for organizations with annual revenue of $700 million to $6 billion. Matthew Jennings is a veteran of the U.S. Marines and is an enrolled agent, the highest designation awarded in the field of taxation from the IRS. He has over 20 years of experience as an accountant. Ernie Mayhorn is an enrolled agent running a financial services company specializing in tax preparation and planning, IRS conflict resolution and representation, and payroll services. Christopher Madero is a CPA with nearly two decades of executive level experience in private and public accounting. He currently serves as a corporate controller, responsible for the financial oversight of an organization with an 11 state footprint.